News categories in website builder WebWave allow you to sort news by its topic and to display them in an adequate place on your website. 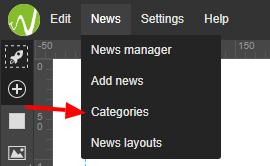 To assign a category to news, go to news list by selecting News -> News manager. 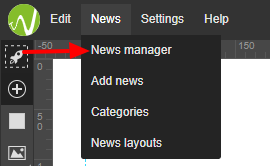 In the news manager select news and assign it to a certain category. Keep in mind that every news can be assigned to more than one category. 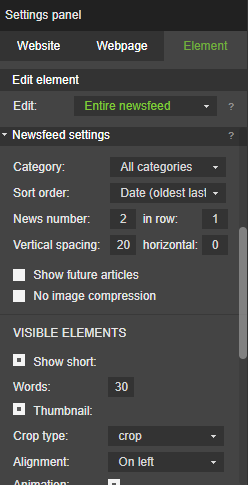 News list can display all articles added to a website or just all articles of a certain category. To select, which news will be shown on a particular news list, enter this list and in Settings Panel set a category. The perfect example of the use of news categories is this guide article. You will find many subpages on it such as Basics, Tools, and SEO. On each of these subpages is a news list with a list of all articles in this certain category.